Cradled, moved, stretched, and massaged gently to experience a world away from worries and mundane thoughts with water soothing your frayed body and nerves. Dariya and Daniel; (right) Dariya at the Auroville centre. Cradled, moved, stretched, and massaged gently to experience a world away from worries and mundane thoughts with water soothing your frayed body and nerves. Doesn’t that sound like bliss? Welcome to Watsu, one of the forms of Aquatic Bodywork, where you can easily let go and surrender yourself to the goodness of water. The experience is therapeutic and works wonderfully, both for water lovers and hydrophobics, helping them unlock, unclog and unwind on many levels—mental, physical and emotional. Aquatic Bodywork teacher Dariya who has been living in Auroville for the last 27 years started her training there, but her thirst to go deeper took her around the world where she had the opportunity to receive scholarships and learn from many teachers. 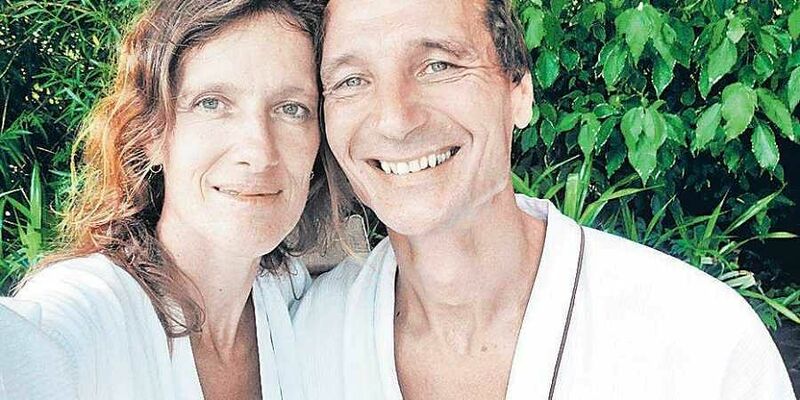 Together with her partner Daniel, the duo has been teaching Liquid Flow and Watsu at the Quiet Healing Centre in Auroville since 2004. The specific of Watsu is that the receiver always stays with his face above the water surface, explains Dariya. A Watsu session is performed one-on-one in a pool of chest-deep warm water, 35 degrees and can be anywhere from 45 minutes to an hour, and its duration can be reduced or extended depending on the receiver’s requirement. “On the ground, we are always fighting against gravity. But when you are floating in warm water, you are not fighting gravity. The joints are freed and it gives you an opportunity to release all that is bottled up, and emerge lighter and happier. It is like meditation that calms your mind and body,” says Pooja, who has been studying Watsu for over two years and will be going back to Watsu India’s centre in Auroville again this year for advanced courses. As Watsu works on both physical and psychological blockages, it is being used by physiotherapists to aid healing, and also by psychologists to overcome fear and traumas. “A lot of times, Watsu is given along with physiotherapy. The movements that we learn to explore in water, along with the flow, helps in early rehabilitation of the patients. It will also be useful for someone who has been hydrophobic and can overcome the fear. Our body holds a lot of memories and water can help with the release of some of these memories that hold you back,” adds Pooja, who has given sessions to toddlers, pregnant women, and those with orthopaedic and psychological issues. She says the session works both for swimmers and non-swimmers, and it is the practitioner’s job to help a receiver be comfortable with water. ❖The course season at Quiet Healing Centre, Auroville, is from December to April.